Looking at the counties that oppose; they are the counties were the power elite live and do not want their serfs to be armed. with all the counties opposed why is this safe act still around ? why has it not been repealed yet ? The Safe Act is an example of Ganster Politics in NEW YORK . 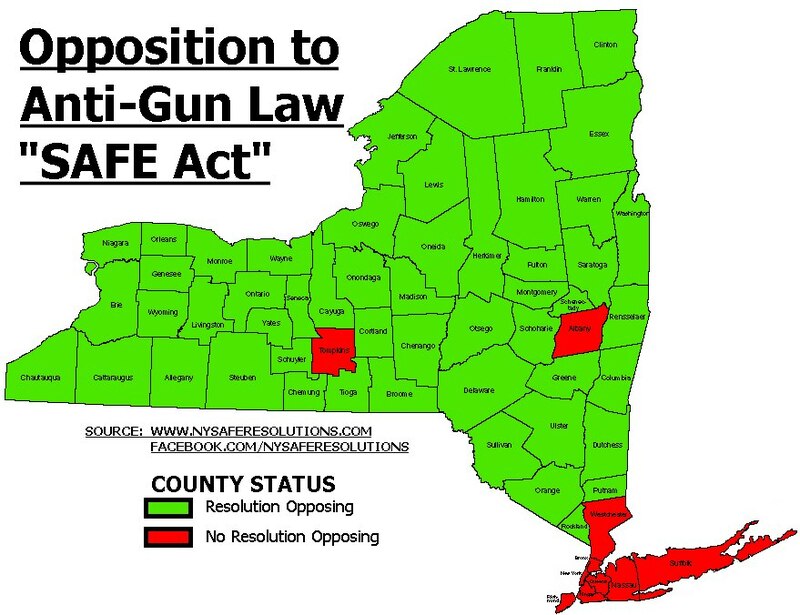 Write the ” Don ” today and share with him that you support the repeal of the NEW YORK Safe Act. I bought a home in Pennsylvania in august and am getting my new drivers license tomorrow. Not enough good people vote or pay attention to what’s going on until it’s too late. This tyrant pig cuomo’s approval is going back up proving my point. Even before the unsafe act this state suffered from soft tyranny. I have lived here for 14 years too long having moved from north Carolina. The pendulum swings too far from freedom here.